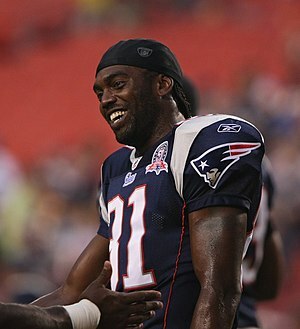 Should the Saints sign Randy Moss? For National Football Authority, we break down the Randy Moss connection to the New Orleans Saints and analyze whether New Orleans should pay the bounty (sorry) to bring Moss to the Crescent City. Click here to read all about it. 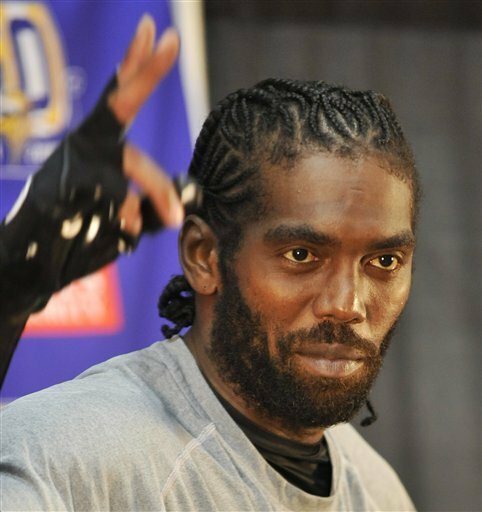 When he didn’t get a free-agent contract like he wanted, Randy Moss opted to retire Monday. Some are speculating that Moss’s retirement is premature and that it may change, but for now we want to remember Moss’s fascinating career. Below are our thoughts; you can see how he compares to other 2011 retirees in this post. Moss had a 13-year career with incredible highs. He burst onto the scene as a rookie with the Vikings, earning All-Pro accolades as a rookie. He had five Pro Bowls in his first six season with the Vikings, along with three first-team All-Pro nods, but he grew unhappy in Minnesota and his play slumped in 2004. He moved to Oakland, where he had a mid-career lull and seemed to be on his last legs. The Raiders gave up, and Moss went to New England and exploded once again, catching 23 touchdown passes and returning to first-team All-Pro status during the Patriots’ undefeated regular season in 2007. Moss had three 1,000-yard seasons in New England and made two Pro Bowls, but in 2010 the team traded him back to the Vikings. As had happened too often in his career, off-field issues affected Moss in Minnesota, and he was released to land with Tennessee via waivers. 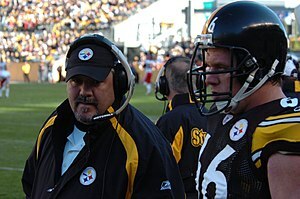 Despite the infamous ending to his career, Moss is in the top 10 all time in catches (8th), receiving yards (5th), and receiving touchdowns (2nd). Moss had some lows in his career (as did other prominent receivers of his era), but his highs were as good as any receiver in the post-Rice era. Ultimately, the off-field issues will fade, and Moss will be remembered as a Hall of Fame receiver. The Terrell Owens biography added an incredible chapter today, as ESPN reported that Owens has had surgery for a torn ACL. It’s unclear how Owens hurt his knee. We know for certain that it happened away from the football field. But if the speculation that the injury happened as Owens taped his reality TV show, then he has reached his manifest destiny as a diva receiva. Last year, we coined the term “diva receiva” to describe attention-hungry, me-first wide receivers. For some reason, such personalities gravitate toward wide receiver, where they can demand the damn ball, dance on the Dallas star, come up with elaborate touchdown celebrations, and make plenty of straight cash, homey. 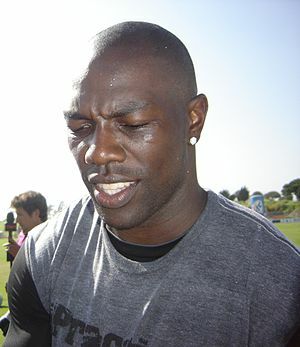 Owens – along with Keyshawn Johnson, Randy Moss, and Chad Ochocinco – has been an elite example of the diva receiva species. He’s extraordinary talented and productive, moody, sometimes unreliable as a teammate, and in search of the spotlight. Given those traits, how else could his 15-year career end? It didn’t end when he held out on the Eagles and held press conferences while doing situps in the driveway. It didn’t end with a celebration on the Dallas star or with tears over Tony Romo. It didn’t even end with his two years of exile the last two seasons in Buffalo and Cincinnati. What could drive Owens out of the game? 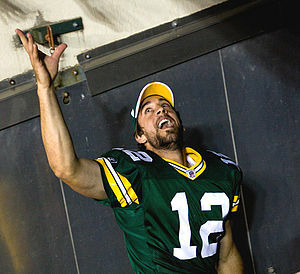 It had to be something off-the-field – something so diva that only a receiva could do it. A reality show fits the bill perfectly. Owens says he’s coming back, and he might – he’s always been incredibly physically gifted. But s a free agent, Owens may find it even harder to find a third straight one-year deal with questions about his knee lingering. If his career ends this way, it’s only fitting. Owens has been the receiver of his generation – because he is so good on the field, and because he is so diva as well. He has gotten leeway because of his talent, and he has used every bit of it and then some. Others have tried to follow his lead, but T.O. is, in large measure, an original. And it just seems right that such an original would suffer what could be a career-ending injury in such an original way. T.O., meet your destiny.